Judy Garland heard of Lahr's death as she was about to go on stage in Las Vegas. At her performance that night, she dedicated "Over the Rainbow" to the memory of Lahr, or, as she referred to him on that occasion, "my beloved Cowardly Lion.". According to his son John Lahr in "Notes on a Cowardly Lion" (the official biography), Lahr had terminal cancer but did not know it when he signed to do "The Night They Raided Minsky's." He agreed to shoot an extensive night scene outdoors in New York City on a cold December night, leading to the pneumonia that was the immediate cause of his death. His completed scenes were left in the film, which was edited around them. Actor Tommy Bond who was also "Butch" in the "Little Rascals" and "Jimmy Olsen" in the original Atom Man vs. Superman (1950) serials, was a regular on Lahr's radio show in the 1930's, and played his son. Appeared in a total of 18 Broadway shows from 1927 through 1964. Bert Lahr's son, John Lahr, is now a drama critic with The New Yorker. 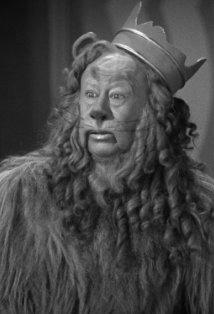 Best known as the cowardly lion in The Wizard of Oz (1939). Even though he divorced his first wife, he still loved her and divorced her only because her severe mental state made it impossible for her to function in a marriage. When she died, he did not speak a word for three days. He began seeing his future second wife Mildred in the early 1930s while his first wife was institutionalized. Mildred left him in March 1936 and married another man because he would not divorce his first wife. Mildred left her first husband by the end of 1936 and went back to Lahr, who obtained a divorce from his first wife a year later. His first wife, Mercedes, was mentally ill and lived in an asylum beginning in 1930. His son Herbert Lahr was born in 1929. His son John Lahr was born July 12, 1941. His daughter Jane was born September 2, 1943. Interred at Union Field Cemetery, Flushing, Queens, New York, USA. Was one of the hosts of the first telecast of the classic film "The Wizard of Oz" (the others were 'Judy Garland (I)' 's daughter 'Liza Minnelli', who was ten at the time, and twelve-year-old Oz expert Justin G. Schiller). This marked the only time on television that an actor who played a leading role in the film , as well as one of the offspring of an actor who starred in it, hosted the presentation. Won Broadway's 1964 Tony Award as Best Actor (Musical) for "Foxy." He also had a Tony nomination the previous year (1963) as Best Actor (Dramatic) for "The Beauty Part."